Lightweight running shoes have evolved a lot since the last decade. These shoes are light and hence, more suitable for women. It is not to say that they don’t work well for men. They most certainly do. They offer just enough of the cushioning to disperse the shock. This minimizes the injuries caused during running. The lightweight shoes feel great on your feet and can be used by both the trainers as well as professional racers. 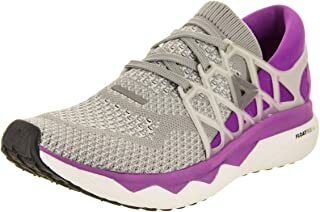 This new Reebok running shoe is a lightweight shoe manufactured for both men and women. 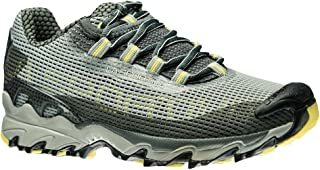 This shoe is a correct choice for speedrunning especially if you want a light yet protective running shoe for your runs. This was the fastest shoe available in the market in the year 2018. The Floatride Run Fast is also affordable than the other big brand shoes. The Pebax-based foam used in the construction of this shoe is much lighter than the standard EVA usually used in the running shoes. However, this does not compromise on the cushioning. On the contrary, it enhances the cushioning and the bouncing effect. Aside from being lighter, Pebax is also more flexible and impact-resistant than other forms of plastics used in shoe manufacturing. The thick and soft sole makes it better-suited running shoes for daily training. 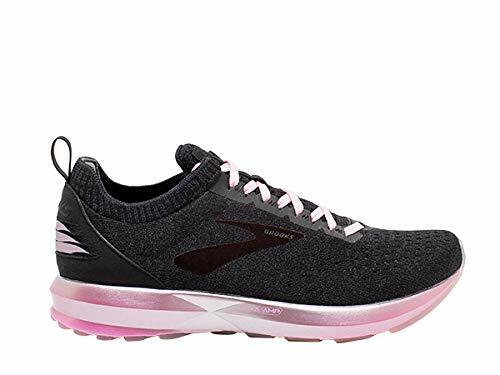 The Brooks Women’s Levitate 2 running shoe is designed keeping in mind the possibility of the highest energy return in the form of bounce to the runner. The material used in its construction is a mix of foam and rubber. This rubber-foam mix technology in the shoe sole provides a lot of cushioning. This works for those who want extra support along with comfort. Being lightweight, its slip-on style makes it an insanely comfortable running shoe regardless of how long you wear them. La Sportiva VK comes with a form-fitting upper and has no tongue. The shoe is sleek in the build. It offers a snug feel and the Ghost-Stream lacing keeps your foot secure. It has a defense system in the form of a TPU toe cap and an integrated rock guard on its outsole which protects the feet during the runs. La Sportiva VK is a running shoe for trail runners that do not want to use heavy footwear. The lightweight shoe helps you easily climb high altitudes and tackle less traveled pathways. 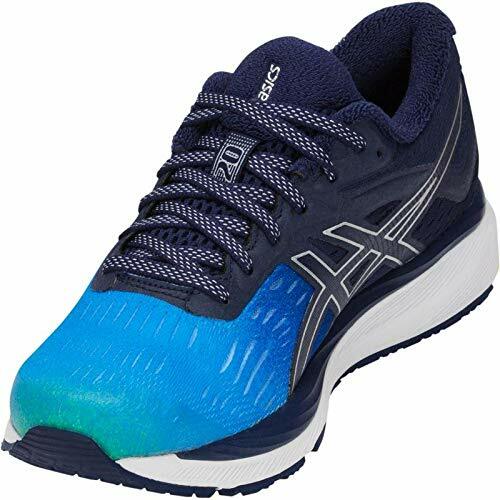 The Asics Gel Cumulus 20 is another lightweight running shoe that is amongst the best in its range and product. It has a smooth fit and is sturdy enough for daily training. This shoe also has a rearfoot as well as forefoot GEL cushioning system for the shock absorption. Asics Gel are strategically set up in those areas that experience higher amounts of shock. Asics employs a new technology in this shoe called Asics’ Flyte Foam which Asics assures you make a shoe 55% lighter. This foam is much lighter and good at absorbing shock in comparison to the standard EVA foam. The technology was developed to even out a strong impact. It is done with the help of gel patches to reduce the stress on your feet. It also uses SpEVA foam. This foam is a mix of the standard EVA foam and the rubber ball material. This foam provides 20% better rebound than just EVA alone. The standard Ortholite liner used over the foam is highly durable and comfortable. With what this shoe offers, its pricing is competitive. The Razor is a running shoe with a racy feel to it. Razor is lightweight and can be pushed hard and fast. The foam used underfoot is relatively firm and yet can take a hard edge off the pavement. Thus, protecting your feet from the road. This is possible because of the thin sole of the shoe in comparison to the average midsole. The shoe’s lightweight construction provides decent traction to the runners. The shoe’s upper is thin and breathable to keep your feet cool during hard runs. Both the heel and forefoot of the shoe are softer than its previous versions. It provides good cushioning underfoot. 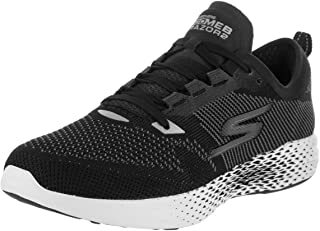 Skechers Razor also made it to this list because of the price tag, very wallet friendly. The Tracer 2 has a midsole which is slightly taller than an average racer. It includes the usual EVA blend makeup and the Meta-Rocker shape used by Hoka. The heel-to-toe drop of this shoe is moderate. And so is the overall height of the shoe’s heel and forefoot. The thickness of the midsole proves advantageous in comparison to other options. The shoe has a thicker and comfier upper. It shaves off the ounces with its judicious use of the outsole rubber. This shoe is good for track workouts and running marathons. Saucony Kinvara 9 is Kinvara’s newest upgrade in the lightweight shoe range. It is incredibly cushy. This is achieved because of the brand’s EVERUN Topsole technology. This technology adds an extra layer of cushioning to the midsole. This provides a guaranteed more bounce and flexibility to the shoe. This shoe is the best for long distance speed during endurance events. 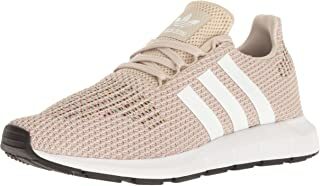 Please Note that this image is not of Adidas Solarboost but of Adidas Swift because I like the image better as it`s more clear. The Boost cushioning is the most responsive cushioning ever developed by Adidas. It gives a proportional energy return. Tailored Fiber Placement has added stitched-in reinforcement for the targeted support at the runner’s midfoot. It makes for a seamless sock-like fit. Flexible knit uppers, bouncier midsoles, wider toe-box, and zero-drop platforms are some of the innovations that have helped develop the lightweight shoes into what they are today. They could be moderately soft providing moderate cushioning. 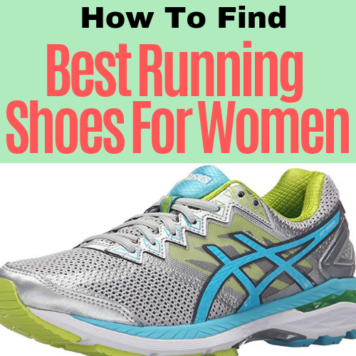 Such type of shoes is ideal for the runners transitioning to minimalism. The lightweight shoes could also offer a barefoot feel. These type of shoes are suitable for the runners who want speed without compromising comfort. The lightweight running shoes can conquer roads and hard trails with ease. They are effortless in conquering the miles felt. 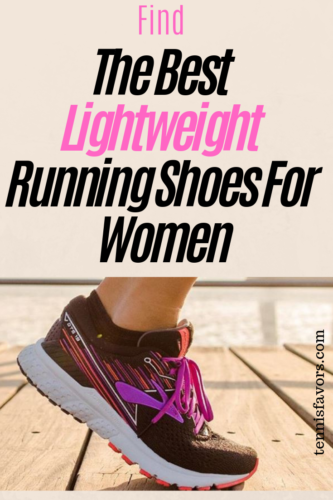 You will feel light wearing any of these shoes. I hope you found value on this post, if you have any questions, just leave me a message below. I really enjoy reading your post. Recently I am contemplating to buy a new pair of shoe by Sketches, your review gave me a good idea of whether I should buy it. But now I have more options to consider. Although I am looking for a men shoe, but your review is equally helpful. Thank you for a good review of the shoes from different brands. All the shoes mentioned above are great, just take the ones for men.But again if you check an earlier post here you`ll see that I mentioned similar shoes but for men. Glad to know you found the post useful.Thanks for stopping by.